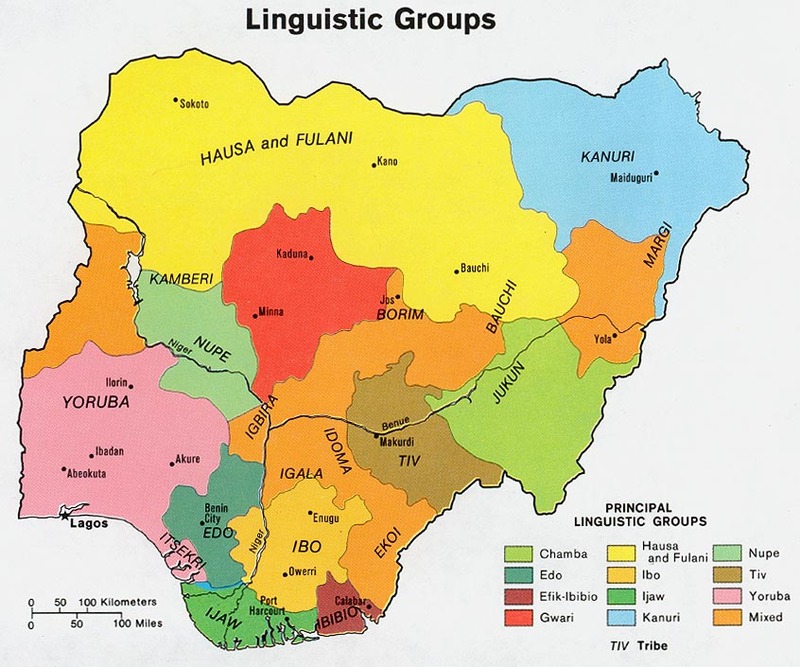 The word "Gure", is a Fulani word meaning "Zango" or "Ruga" in Hausa language which means a human settlement. Gure People call themselves "Agbiri", meaning "The men". Gure is an ethnic group made up of several clusters of settlements located in an isolated hillside fifteen kilometers west of Lere Town. The people are comparatively smooth-skinned, light in complexion and slim-built; characteristics, which tend give credence to their claim of being of Fulani extraction. They were de-isolated and brought to the limelight by the coming of the Christian Missionaries who settled there in the early 1930s and built the oldest primary school in Lere and Kauru Local Government Areas in 1942 and a Bible school in 1948. Consequently, Gure became an education centre where a large number of the educational elites in the Lere and Kauru area received their early religious and secular education. Gure people believe that they are of Fulani extraction and originally from Baghdad, in the Middle East. The claim of having the same ancestor with the Fulani has popular support among the Gure people and their neighbors and also with the Fulani people themselves. The early history of the Gure people traced their ancestry to the Fulani tribe and their origin in the Middle East. They moved to Niger Republic and settled at a place called Gure/Guri. It is not certain whether this place was called Gure prior to their arrival or it was named so at or during the arrival. From the Niger Republic, they moved southwards to Borno where they settled at Kukawa. They later moved to Sokoto and from there to Katsina. The Agbiri people later moved into the Bauchi Plateau and settled at Gumau in Bauchi State. Although the Gure people of Gumau in Bauchi do not understand the language of Gure people of Lere Local Government Area, the Agbiri people believe that the Gurawa of Gumau were historically part of them. The Agbiri people later moved from Gumau to Lazuru about five kilometers east of Saminaka. Evidence of Agbiri habitation at Lazuru still exists. There is a well on top of the hills where they settled. The well still contains water to date. This well is referred to as Gure well by the present inhabitants of Lazuru. Migrations of Agbiri/Gure people from place to place remain undated. The movements were however a result of the turbulent nature of those times. The cause of migration is attributed largely to the people's efforts to escape slave raids and also to the search for more fortified and hidden places to escaped hostility of neighbors. The migration was also the need for greener pasture to graze their cattle. The Gure people migrated from Lazuru, and their movement took them west of Lazuru to the eastern tips of Gure hills where they finally settled. The precise period when they moved out of Lazuru remains unknown but it must have been long before the Fulani Jihad. On their arrival at Kauru hills they settled by the following hills: Kasab, Kushin, Ugana, Kudara, Kawara, Pidama, Kagboyo, Kapenti, Kushaja and Kagambu. The hills formed a ring which provided natural fortification against invaders. The Gure people built a stonewall linking these hills together to form the city wall. This wall that was known as "Kaghan" had gates for entrance and exit. There were basically two major settlements. Those that settled on the north-western side of the hills are known as "Anazani" (hill people) and those that settled on the southern side are known as "Anagani" (lowland people). There are two factors that facilitated the movement of Gure people from the hills to the plain land, which is the present site. One of the factors is the activity of the colonial administrators who imposed taxes on the Gure people. This brought hardship on the lives of the Gure people. The direct taxation introduced in Gure compelled the people to look for a plain land on which to cultivate their crops. According to Gunn, one of the Colonial Masters, Mr. Temple who visited Gure in 1929 stated that Gure people had begun to move from the hills to the plain land and that by 1929 Gure farms were on the present site. Another factor attributed to the moving of Gure people from the hills to the plain land was the coming of European Christian Missionaries and their activities. The Sudan Interior Mission (S.I.M.) settled in Gure. The converts to the Christian Religion began to fail to perform the ritual of planting millet. And failure to observe traditional customs by the converts whom the Gure people called "nono-na-sara" (Boys of the white man) coupled with the activity of the white missionary lady, Miss. H.C. Griffin, led to conflicts between the white lady, the coverts and the Gure people. The continued disregard of the traditional customs by the converts made their relatives to expel them from their houses or family compounds. The expelled converts moved to the present site. In 1950 the white missionary worker, Miss H.C. Griffin left the old town and settled at Upah, the present setlement. In the same year many converts moved to joint her in the present settlement, leaving the non-converts and other ethnic groups at the Kauru hills. It did not take long when all the Gure people moved from the hills to the plain land, whether converts to the new religion or those who practiced traditional religion. This time, the settlements were not in groups of matrilineal clans. The villages were a mixture of different lineages, but the clans' traditions were still observed. The principal villages established in the plain land are "Aneghan" and "Anazani". These have multiplied into several villages as follows: Upah, Udammi, Sabon Kaura, Kakunga-Kugbi, Natere, Kadigi/Kitimi, Kabiza, Kakumu, Khalobi, Kabi, Nipanah, Garin Madaki, Abanna-Kakidare, Garin Padama, Jamaica, Ka'anguwa, Mayala, Adawoh, Kadigi, Anu-tsan, etc. * Scripture Prayers for the Gure-Kahugu, Gura in Nigeria.